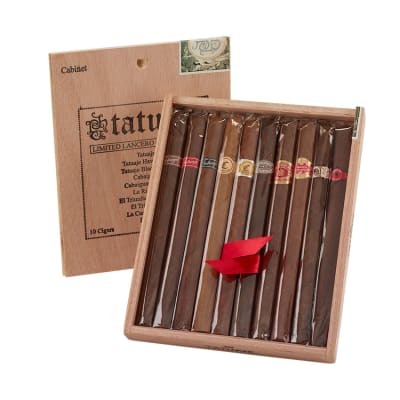 Tatuaje 10th Anniversary cigars are a testament to Tatuaje and the tradition of excellence they have established throughout their 10 years in business. 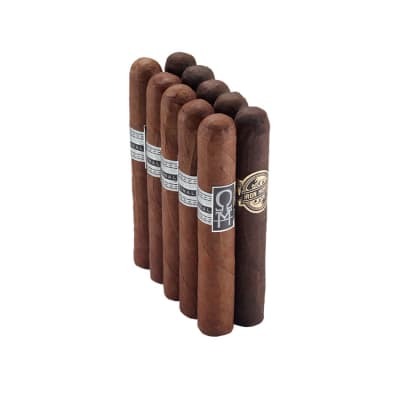 The 10th anniversary is a celebratory cigar representing the founding of the company back in 2003. 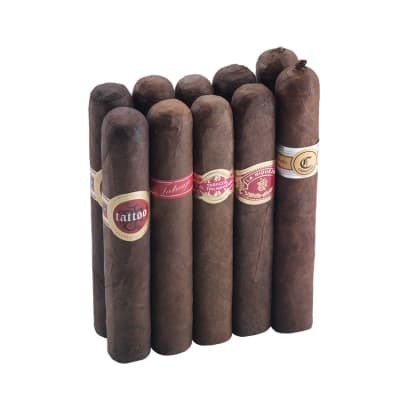 Each cigar is made with Nicaraguan tobaccos to make an incredibly flavorful puro rolled at the My Father factory in Esteli, Nicaragua. You do not want to miss out on this celebration. Pick yours up now! A good, solid medium bodied smoke. This thing did not have the usual Pepin twang to me but was more of a finesse blend with a creamy undertone throughout the entire smoke. Not a lot of transition through the first two thirds but a pleasent cinnamon spice finish for the last third. 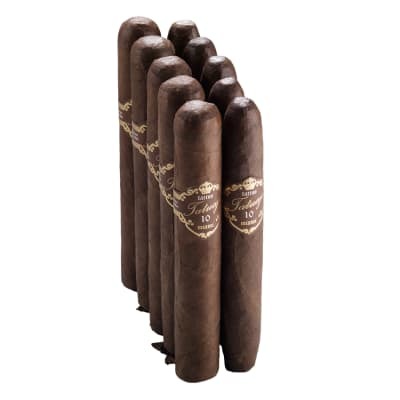 As stated by another reviewer a good everyday smoke. Held this at about 70% RH for three weeks. Showed perfect balance of leather, wood, spice, and cedar during the first half. The cedar then came to the forefront past the midpoint while the nicotine got stronger. Reminded me of the Don Pepin Black line, but was much smoother, with no harsh edges whatsoever. The smoke was cool for the whole 50 minutes and got drying at the nub. Easily 91+ points. Much more mild than full bodied as stated above. Great daily smoke.